New Jersey Nightclub Insurance. If you own a nightclub, you likely know that it is a lucrative business that can be financially rewarding, but with those rewards comes a high level of risk. Because the investment you've made in your business is significant, it's important that you protect your business with the right type and level of business insurance. Even if your club is very small, you need New Jersey nightclub insurance coverage to stave off the financial distress that often follows a liability suit. Some policies that you must carry for your nightclub are required by state or federal law, while some other types may be required by the bank that loaned you money to purchase your club or the leasing agent who rents your club's space. 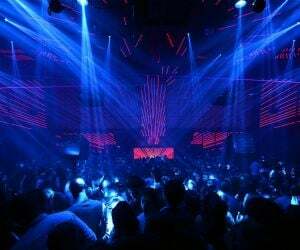 New Jersey nightclub insurance protects your establishment from lawsuits with rates as low as $67/mo. Get a fast quote and your certificate of insurance now. Unemployment coverage. This coverage is mandated by the NJ, and is included in your state tax bill. 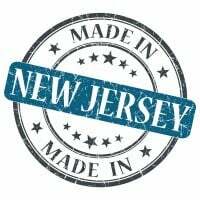 After establishing your business and registering the business with the NJ Deptmartment iof Labor and Industry you will pay it with your taxes. Nightclub coverage. This specific coverage is tailored to the nightclub genre, and this New Jersey nightclub insurance includes several types of liability insurance to protect your business from claims and the associated legal costs of defending your business in court. General liability coverage. Cover bodily injuries to patrons and others as well as property damage in the nightclub or exterior areas with this type of insurance. It may exclude any losses occurred as a result of someone who is inebriated after drinking in your NJ nightclub. Bouncer liability coverage. If you employee bouncers, then this type of New Jersey nightclub insurance is a must. This covers physical harm to club patrons when bouncers remove them from the club. It can also pay for injuries to the bouncer during the course of performing ejections from the club. Worker's comp coverage. NJ requires you to keep this type of insurance in force to protect employees from workplace injuries and illnesses. It provides medical and income payments for injured or ill workers. 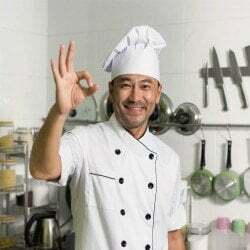 Owners can be exlcuded. Lost income insurance. If a forced closure of your business occurs, this New Jersey nightclub insurance provides income for a certain period of time until your business is operational once more. Work with an commercial agent to find the right level of New Jersey nightclub insurance coverage for your particular needs. An professional agent can help you retrieve quotes from multiple insurers to find a policy catered to your needs that is affordable and that fits well within your business' individual budget. Request a free New Jersey Nightclub Insurance quote in Asbury Park, Atlantic, Bayonne, Beachwood, Bellmawr, Bergenfield, Bound Brook, Bridgeton, Camden, Carteret, Cliffside Park, Clifton, Collingswood, Dover, Dumont, East Orange, Eatontown, Edgewater, Elizabeth, Elmwood Park, Englewood, Fair Lawn, Fairview, Florham Park, Fort Lee, Franklin Lakes, Freehold, Garfield, Glassboro, Glen Rock, Gloucester, Guttenberg, Hackensack, Haddonfield, Hammonton, Harrison, Hasbrouck Heights, Hawthorne, Highland Park, Hillsdale, Hoboken, Hopatcong, Jersey, Keansburg, Kearny, Kinnelon, Lincoln Park, Linden, Lindenwold, Little Ferry, Lodi, Long Branch, Madison, Manville, Metuchen, Middlesex, Millville, Morristown, New Brunswick, New Milford, New Providence, Newark, North Arlington, North Plainfield, Oakland, Ocean, Palisades Park, Paramus, Passaic, Paterson, Perth Amboy, Phillipsburg, Pine Hill, Plainfield, Pleasantville, Point Pleasant, Pompton Lakes, Princeton, Rahway, Ramsey, Red Bank, Ridgefield Park, Ridgefield, Ridgewood, Ringwood, River Edge, Roselle Park, Roselle, Rutherford, Sayreville, Secaucus, Somers Point, Somerville, South Plainfield, South River, Summit, Tenafly, Tinton Falls, Totowa, Trenton, Union, Ventnor, Vineland, Wallington, Wanaque, West New York, Westfield, Westwood, Woodbury, Woodland Park and all other cities in NJ - The Garden State.